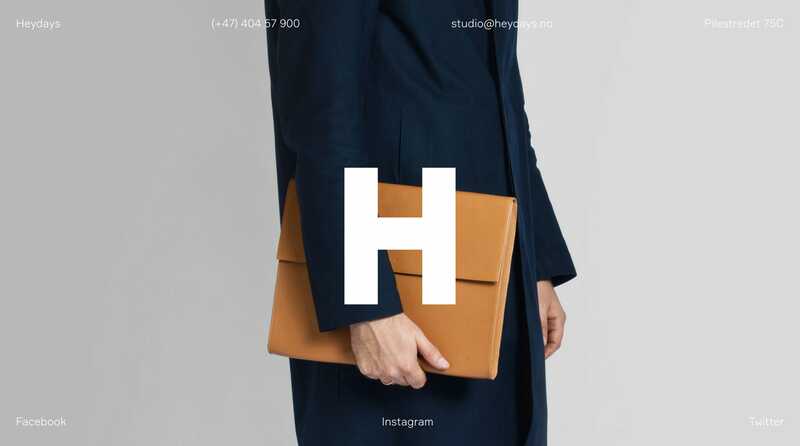 One Pager for Oslo-based design agency, Heydays. Minimal approach to an agency portfolio featuring just a quick trigger background slideshow of their work. Nice touch with the slideshow pause when hovering over the center letter. We design and develop to bring progressive brands to life through focused and functional identities and digital solutions.